Join Virginia Humanities Research Fellow Kim O'Connell, an independent scholar from Arlington, for a talk on her research using her own story of mixed-race heritage—half-Caucasian, half-Vietnamese—to explore Vietnamese immigrants and refugees who came to Virginia in the wake of the Vietnam War. Her work is for a forthcoming book that shares a title with this talk. Connecting food and culture, spring rolls are used as a symbol throughout O'Connell's work to represent determination, heritage, and healing. She has already found federal publications on government policies and newspaper stories on refugees' experiences. 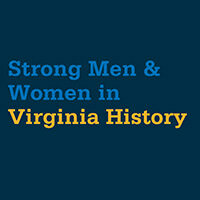 This subject complements the Library's current exhibition, New Virginians: 1619–2019 & Beyond. For more information, contact emma.ito@lva.virginia.gov or 804.692.3726. Read and discuss the best of today's Virginia literature—books by Library of Virginia Literary Award winners and finalists in fiction and nonfiction. On the second Wednesday evening of each month, join us for a book discussion with light refreshments, additional historical context, and even occasional author visits. This month, discuss The Exact Nature of Our Wrongs, by Janet Peery (2018’s Fiction Award winner), and pick up June's book, Sargent’s Women: Four Lives Behind the Canvas, by Donna M. Lucey (2018’s Art in Literature: The Mary Lynn Kotz Award winner). Loaner books available. For more information, contact Nan Carmack at nan.carmack@lva.virginia.gov or 804.692.3792. Discover a new character waiting in a 1903 hotel ledger wide as a bed pillow. Unspool plot threads from messages scrawled across historic postcards. Let a pictorial map or a funky placemat from a roadside diner spark an idea for a setting. Encounter images or rhythms that serve as tinder for poetry or memoir. Join poet-librarian Wendy DeGroat in this workshop to ignite your creativity with fascinating artifacts from the Library’s archives. Emerging and experienced writers welcome. Enrollment limited to 16 participants. Minimum age is 16. For more information, contact Emma Ito at emma.ito@lva.virginia.gov or 804.692.3726. Library of Virginia reference archivists Dawn Tinnell and Bill Bynum introduce you to the types of records in the Library's collections and help you get started with your Virginia-based genealogical research. Plan to arrive early to sign up for a Library of Virginia card at the circulation desk before the workshop begins. For more information, contact ashley.ramey@lva.virginia.gov or 804.692.3001. Recent estimates place the number of foreign-born Virginians at just under one million, or about one in every eight people in the state. The composite portrait of Virginia is becoming more complex, challenging an older, simpler understanding of what it means to be a Virginian. Whether our roots in the state go back ten thousand years, ten generations, or ten weeks, we must create the future of the commonwealth together. New Virginians: 1619–2019 & Beyond explores the historical and continuous journey toward the ideals of America and seeks to foster an honest discussion about the immigrant and refugee experience and Virginia's increasing diversity. Produced jointly by the Library of Virginia and Virginia Humanities, the exhibition highlights the changing demographics of the commonwealth on the eve of the 2020 federal census through a series of interviews with first-generation immigrants and refugees who arrived in Virginia after 1976. The interviews reveal the complexity of the experience for people representing a wide range of personal backgrounds, experiences, ages, and countries of origin—Asia, Africa, Europe, Latin America, and the Middle East. To complement the videos, the exhibition includes objects that have special meaning for the interviewees. New Virginians is a Legacy Project of the American Evolution, 2019 Commemoration. 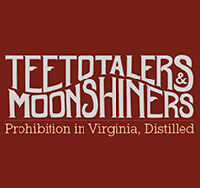 Teetotalers & Moonshiners: Prohibition in Virginia, Distilled Traveling Exhibition tells the story of Virginia Prohibition and its legacy, including the establishment of Virginia's Department of Alcohol Beverage Control and NASCAR. Supported in part by the Virginia Department of Alcoholic Beverage Control and the National Alcohol Beverage Control Association. For more information, please contact Barbara C. Batson, exhibitions coordinator, at barbara.batson@lva.virginia.gov or 804.692.3518. Women have played an integral part in Virginia from its beginnings, yet their contributions as educators, nurses, lay leaders and missionaries, farmers, artists, writers, reformers, pioneers, business leaders, laborers, civic activists, and community builders have often been overlooked in the history books. 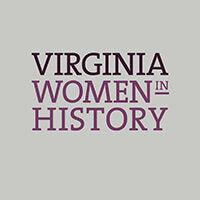 As part of National Women's History Month, the Library of Virginia presents the Virginia Women in History to honor eight women who have made important contributions to Virginia, the nation, and the world. For more information, please contact Barbara C. Batson, exhibitions coordinator, at barbara.batson@lva.virginia.gov or 804.692.3518. Come visit the traveling version of the exhibition New Virginians: 1619–2019 & Beyond, which explores the changing demographics of the commonwealth on the eve of the 2020 federal census through a series of interviews with first-generation immigrants and refugees who arrived in Virginia after 1976. Produced jointly by the Library of Virginia and Virginia Humanities, the exhibition is a Legacy Project of the 2019 Commemoration, American Evolution. For more information, please contact Barbara C. Batson, exhibitions coordinator, at barbara.batson@lva.virginia.gov or 804.692.3518. In observance of Black History Month, the Library of Virginia and Dominion Energy honor seven distinguished Virginians as the Strong Men and Women in Virginia History for their contributions to the commonwealth and the nation. The men and women featured offer powerful examples of individuals who refused to be defined by their circumstances. For more information, please contact Barbara C. Batson, exhibitions coordinator, at barbara.batson@lva.virginia.gov or 804.692.3518. Come visit the True Sons of Freedom Traveling Exhibition and explore the stories of Virginia's African American soldiers who served during World War I. For more information, please contact Barbara C. Batson, exhibitions coordinator, at barbara.batson@lva.virginia.gov or 804.692.3518. To see the online exhibition, go to www.virginiamemory.com/truesons.